"19th century", "american hero", "americana", "mechanical music", "ragtime"
Scott Joplin (1867-1917) traveled and played with a number of musical groups in the 1890's. Around the turn of the century, he composed the "Maple Leaf Rag." He later worked on a ballet, and by 1902, the style of his compositions was officially dubbed, "Ragtime." Perhaps his most famous tune was "The Entertainer." Joplin's music was recorded for the phonograph and often made into rolls for nickelodeons like the ones you can hear at The American Treasure Tour. Thanks to http://www.usa-hero.com for lots of great information on US Heros! "Barnum", "american hero", "american history", "american past time", "americana", "circus", "collectible", "entertainment", "show business", "travel"
Phineas Taylor Barnum is best known for his part in Ringling Brothers and Barnum & Bailey Circus. An entreprenuer from the start, Barnum owned a newspaper in his Connecticut hometown before moving to New York where he quickly founded "Barnum's Grand Scientific and Musical Theater." He purchased a museum which he used as a platform for performances from his variety act and for other human curiosities and oddities. Eventually, his museum housed America's first aquarium. While ever adding to his list of attractions and oddities, Barnum was also a very productive politician, serving two terms in the Connecticut legislature, and eventually becoming mayor of Bridgeport, CT.
Barnum did not enter the travelling circus business until he was in his sixties. He started "P. T. Barnum's Grand Traveling Museum, Menagerie, Caravan & Hippodrome," a traveling circus, menagerie and museum. He later partnered with Bailey, creating Barnum and Bailey's "Greatest Show on Earth." At the American Treasure Tour there is a wonderland of circus memorabilia, artifacts from the circus and vintage advertisements from the show's heyday. "History", "american hero", "american history", "american", "americana", "biography", "literature"
Walter Lippmann was a New Yorker, a writer, reporter and political commentator in the early to mid 20th century. He pointed out inaccuracies in the news reporting and spoke out against censorship. Lippmann's articles and books often touched on tensions of modern America, between politics, liberty, and news. Lippmann was the first to use the term "Cold War," and later coined the word "stereotype" as it is used today. His Catchphrase "Manufacture of Consent." has been used over again in literary works by great thinkers of the next generation. He published several books in addition to writing his syndicated newspaper column, "Today and Tomorrow," for which he was twice awarded the Pulitzer Prize (1958 and 1962). 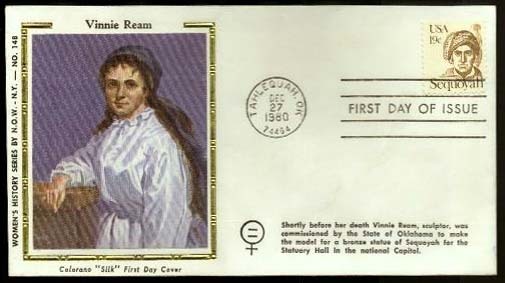 "History", "american hero", "american history", "american", "artist", "philanthropist", "young hero"
Vinnie Ream was the first woman, and the youngest artist ever to receive a commission from the United States Government. 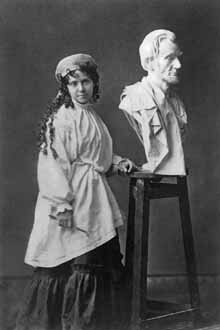 At the age of 18 in 1866, she was awarded the commission of a full size marble statue of President Lincoln which still stands in the Capitol Building. Vinnie was from a Pennsylvania Dutch family who emigrated from Germany to central Pennsylvania in 1717. She worked in the United States Post office during the Civil War and later a stamp was created in her honor. A talented writer and singer as well, Vinnie Ream gave concerts in Civil war hospitals and helped wounded soldiers write letters. "History", "american hero", "american history", "american", "pioneer", "teachers"
Mary Jane Dilworth was among a group of pioneers travelling west through the un-searched United States in the early 1800's There were many children in the caravan of wagons headed west, and they proved difficult to wrangle. Mary Jane decided to organize a school like atmosphere for the youngsters. She was so successful at keeping their attention that she was asked by Joseph Smith to open a schoolhouse when the group arrived at their destination. At the age of 16, Mary Jane Dilworth opened the first school in Utah. The year was 1847. "History", "american hero", "american history", "americana", "biography", "suffrage"
Douglass married the woman who aided his escape, and they participated in the abolitionist movement together. Douglass spoke at meeting halls across the Eastern and Mid-west states. His speeches were powerful, and he was frequently accosted by those who were opposed to his passion for freedom. The achievements of this man are too many to number, he joined the fight for women's suffrage as well. He wrote autobiographies about his life in slavery and subsequent escape. He became the most famous black man in America before the civil war and conferred with Presidents Lincoln and Johnson on the topic of African American suffrage. 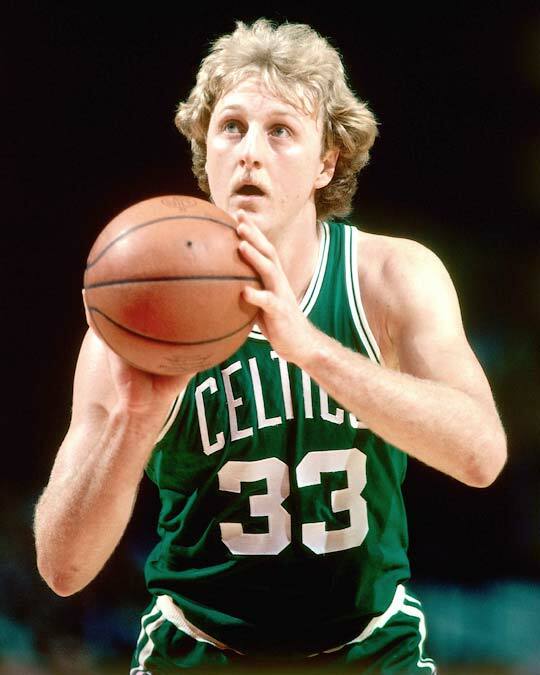 "History", "american hero", "american past time", "americana", "basketball", "larry bird"
Larry Bird (born 1956) joined the Boston Celtics in 1979 with the largest contract in basketball history at that time. He won the NBA's rookie of the year award and later won three consecutive most valuable player awards. After he ended his career as a basketball player, Bird coached the Indiana Pacers, and later became the President of Basketball Relations for the NBA. The American Treasure Tour salutes you, Larry Bird! Thanks to http://www.usa-hero.com for great info on American Heros. "History", "Sousa", "american hero", "americana", "mechanical music", "music", "patriotic"
John Phillip Sousa (1854-1932) is best known for composing the famous patriotic tune, "Stars and Stripes Forever." Shortly after he wrote the song, the phonograph was introduced to American Homes. Sousa's work quickly became very famous. He was later asked to train musicians for the US Navy band. During his work in the Navy he achieved the rank of Lieutenant Commander. Sousa's famous compositions have played on hundreds of mechanical music machines like the ones you can see at the American Treasure Tour. "Bob Barker", "The Price Is Right", "american hero", "americana", "animal rights", "whaling"
On Mondays, we like to honor a real American Treasure, usually a person who represents something great about America. 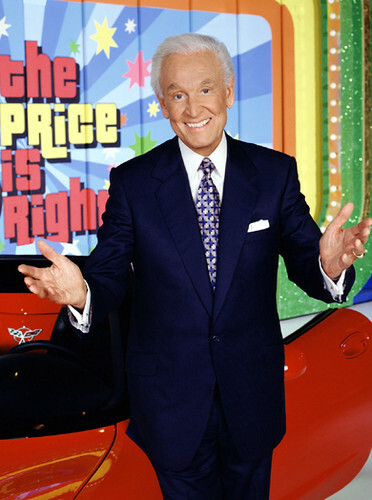 Who doesn't love Bob Barker? He was born of average means in Washington state in 1923. His mother was a schoolteacher and his father was an electrical foreman. How did this average guy come to be the game show host that we know and love? He began working at a college radio station where he went to school. His studies were interrupted when he went into training as a fighter pilot during WWII. When he came home, Barker continued his education and his work at the radio station. In the early 1950's Barker was "discovered" by Ralph Edwards, a game show producer. In 1956 he became the host of the show "Truth or Consequences." Later, he became host of "The Price Is Right" which is the longest running television show in history. Barker's likable demeanor no doubt helped the show earn this title. He ended each show with a comment about protecting animals in honor of his late wife who loved animals. Barker continues to help animals in his retirement. We found this article on treehugger.com claiming that Barker recently donated $5 million to a foundation to help fight Japanese Whaling in the Antartic. "american hero", "destination", "fire fighters", "hero", "tour", "travel"
Every Monday the American Treasure blog posts about people and organizations who are American Treasures. as well as help their families. Above is the National Fallen Firefighters Memorial in Emmitsburg, Maryland. The American Treasure Tour highlights real treasures ~ American heroes every Monday. Nicely shown here with his wife Crystal and Gary Sinese during a May benefit concert. Thanks to: http://www.tunneltotowersrun.org/concert_nyc.aspx for the image. Check out: http://www.tunneltotowersrun.org/ for more information. "american hero", "americana", "collectibles", "hero", "quilts"
American Hero Quilts ~ a real American treasure! In the face of her debilitating condition due to multiple sclerosis, Sue found a way to help wounded war soldiers. Denying the opportunity to pity herself, she works hard to help others and as a result, many people have been blessed by her efforts. The American Treasure Tour Salutes Sue & Clark Nebeker ~ real American treasures!